SAINT GEORGE, UT DECEMBER 29, 2011 Southwest Crawlfest, sponsored by ECT Offroad, is a three-day full size 4×4 gathering, trail ride and clean-up benefitting Blue Ribbon Coalition, Utah 4 Wheel Drive Association, United Four Wheel Drive Association, Canaan Mountain Legal Defense Fund, RR4W Mud Fund, Tread Lightly, and Utah Shared Access Alliance. 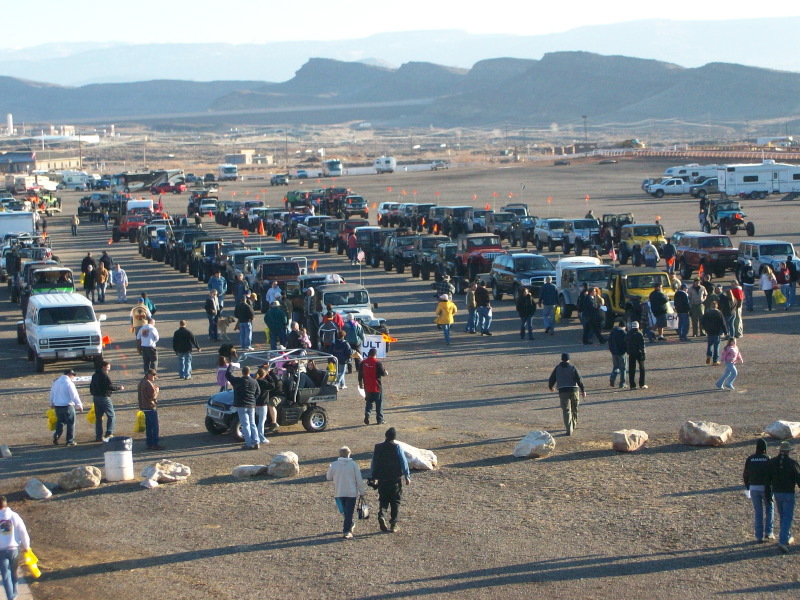 The Southwest Crawlfest will be near Saint George, Utah in the Sand Hollow OHV Recreation area and Washington County Fairgrounds over the weekend January 14-16, 2011. Registration is open for this event. Thirteen fully supported and trail-led outings will cover all abilities and difficulty ratings to explore the beautiful red rock Sand Hollow OHV Recreation Area. 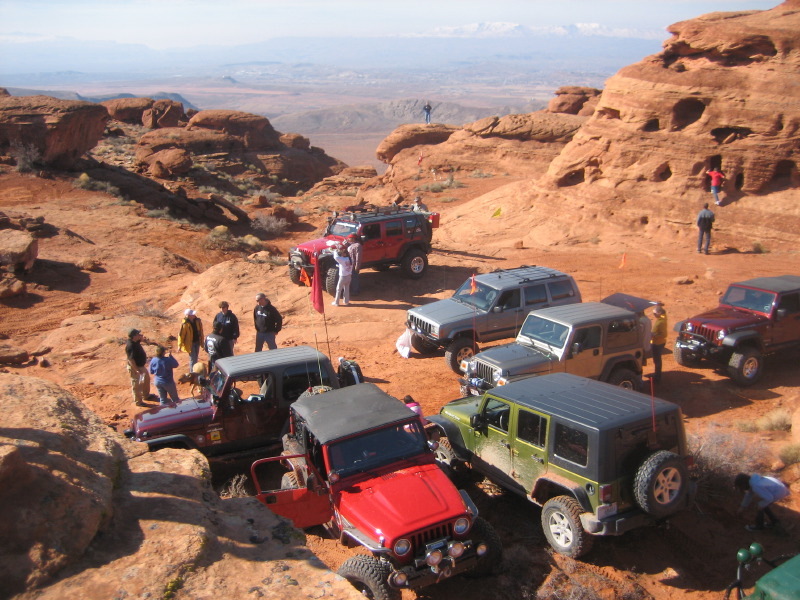 Rockaholics Anonymous is the organizing club that has graded gravel sight seeing roads to the most extreme Utah Red Rock trails picked out for drivers to choose from. The $60 registration fee includes 3 days of trail rides, 4 complimentary meals including Thursday Check-in Free Hot Dogs, Friday and Saturday Hot Trail Lunch Catered by TexaSmoke and Friday Night Spaghetti Dinner Sponsored by TNT Customs. Friday evenings Night Car Crawl and Vendor Appreciation Night will highlight a Free $5,000 Drawing and guest speakers Del Albright (Blue Ribbon Coalition) and Rick Russell (Sidekick Offroad). Saturday night the $45,000 Land Use Raffle will take the main stage while everyone enjoys a 2 Meat Western Buffet, Dutch Oven Potatoes, Baked Beans, Peach Cobbler, and Ice Cream Catered by Staheli Catering. Proceeds from the raffle go to multiple land use organizations, to see a full list of raffle items including ECT Offroad’s 2 Axles, please see the website. Other activities include a Kid’s Raffle, a fundraising weenie roast and rig test session, and complete route clean-ups on each trail with prizes for most trash picked up. “This is the fourth year that we have done the Southwest Crawlfest, and each year we have seen tremendous growth,” said Steve Crabtree, Event Chairman. “We think it is very important to help keep our land open, participate in clean-ups and enjoy each others company in the process.“ Registration is still open for this event, and on-site registration will be available. The all-volunteer staff is still accepting assistance.